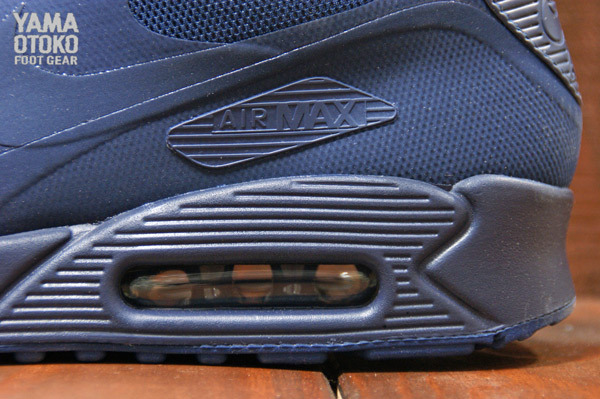 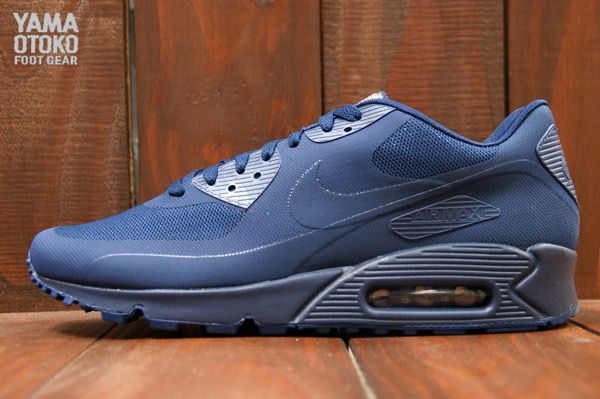 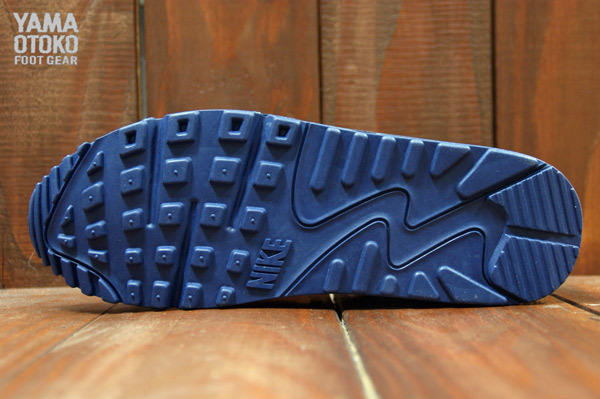 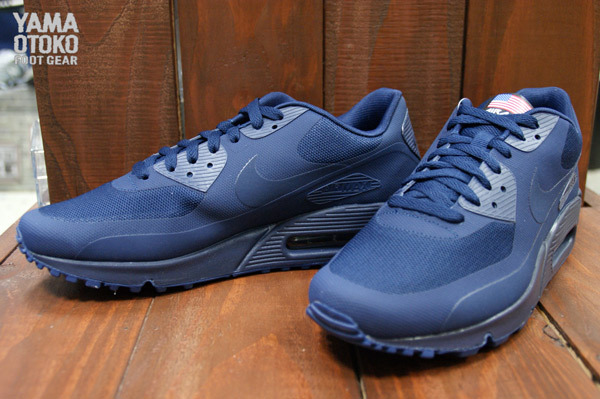 Nike Sportswear presents the Air Max 90 Hyperfuse QS in midnight navy, rounding out the three-colorway "4th of July" pack. 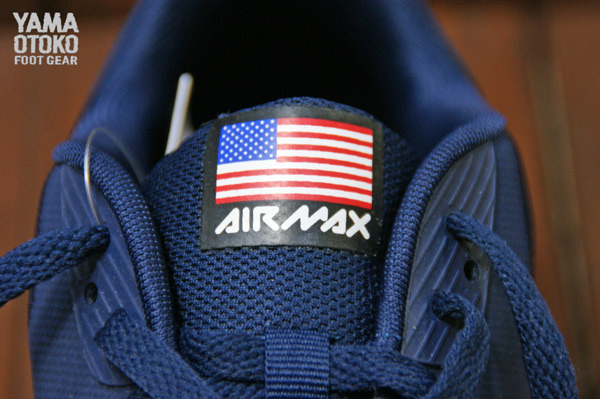 Along with the "Sport Red" and "White" colorways previewed earlier, this new offering features a monotone Hyperfuse upper and a special American flag emblem on the tongue. 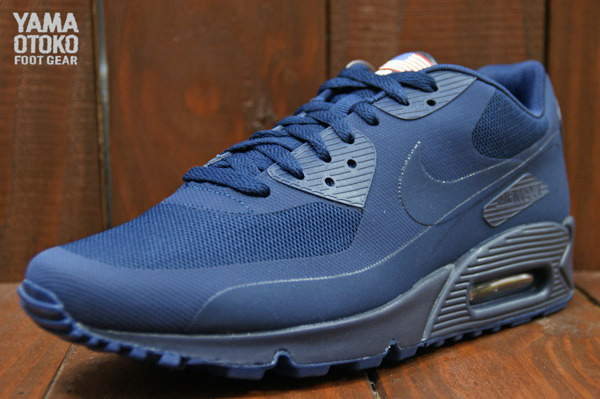 Look for the Nike Air Max 90 Hyperfuse QS "4th of July" pack in the coming weeks at select Nike Sportswear accounts.